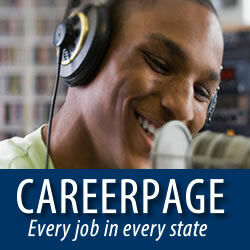 WMJX-FM has an immediate opening for a AFTERNOON ON-AIR TALENT. MAGIC 106.7, Boston’s legendary AC station, has a very rare full-time opening for an afternoon drive personality. We’re looking for an experienced announcer that is able to connect and relate to the female audience. You need to create content across all platforms, not just on-air, have an understanding of the AC format, and comply with station, company, and FCC guidelines. An understanding of all station, company and FCC guidelines, policies and procedures. Effective communicator and strong team member looking to contribute in many areas. Please have interested candidates visit our web site at https://entercom.avature.net/careers/JobDetail?id=13926 to apply.